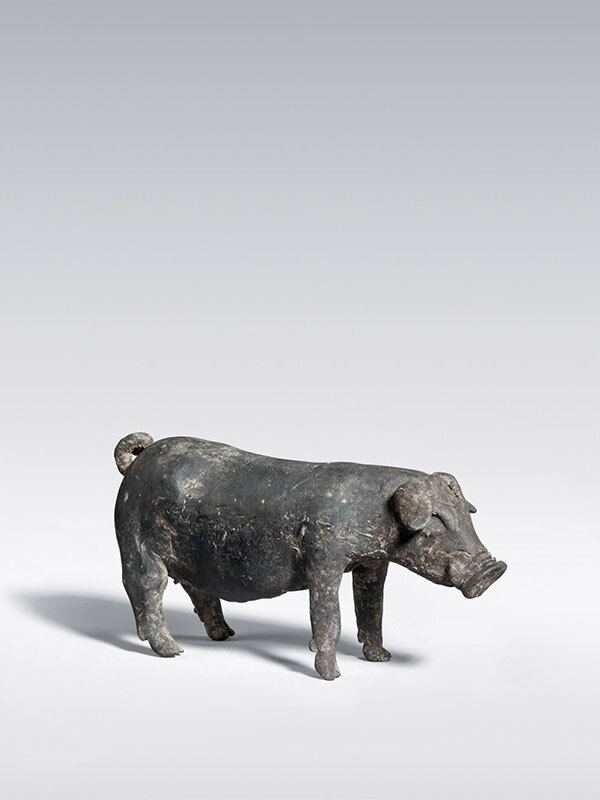 A grey pottery model of a standing pig with a long body, naturalistically depicted facing forward in an alert position, the long ears folded down and with elongated eyes, prominent snout and pointed canines. The animal has a short tail, which is curled at its hindquarters. Its four strong legs and hooves are carefully detailed. The body is hollowed. The grey pottery shows remains of burial earth.